We’ve put together some of Wales’s top attractions within driving distance of Cardiff, so there’s no excuse to stay cooped up in the capital. So, exams are pretty much over and you’re ready to head home for summer. But, did you actually leave Cardiff this academic year? There’s more to see in South Wales besides the SU (❤🍍) and Live Lounge, so make some memories before you’re parted from your Uni mates for three whole months! Explore three natural wonders that were discovered just over 100 years ago by the Morgan Brothers. 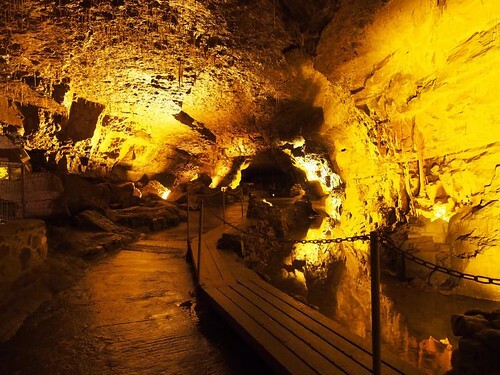 Dan Yr Ogof , Cathedral and Bone Caves are awe-inspiring and will leave you speechless! From underground lakes to amazing natural formations (including one called the ‘Rasher of Bacon’, because that’s literally what it looks like – cue the tummy rumbles 😍🥓), the Show Caves are definitely worth a visit. If the natural beauty hasn’t sold it for you, there’s 200 life-sized dinosaur models, a delicious coffee shop, a shire horse centre and a farm. What more could you want? Wales is full of natural beauty, and ‘Waterfall Country’ has got to be one of the most beautiful spots you’ll find. 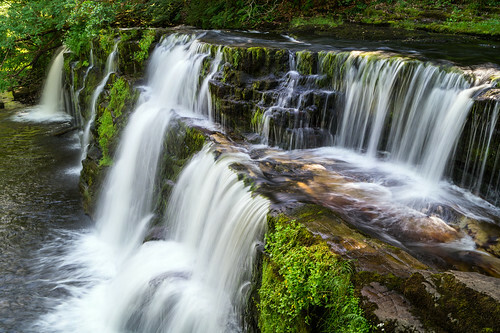 Discover the rivers Mellte, Hepste, Pyrddin and Nedd-fechan as they flow through the luscious scenery, creating breath-taking waterfalls, before merging to create the river Neath. Got someone in your group who would rather be sitting watching a movie than taking in the fresh air and fantastic scenery? No problem – just let them know that the entrance to the Bat Cave can be found in waterfall county! 😮 Henrhyd Falls, the tallest of the waterfalls, features in the Dark Knight Rises as the entrance to the caped crusader’s cave. You can even walk behind it – how cool is that? Where to park: Ystradfellete Car Park, Ystradfellte, Neath SA11 5US. It’s free! Voted Wales’s best beach in the 2018 TripAdvisor Travellers’ Choice Awards, Rhossili is beautiful. It is the perfect place to have a picnic and wind down after the busy exam period. Are you a bit of an explorer who doesn’t fancy lazing around? There are many coastal paths you can take to explore the beach, the surrounding cliffs and the beautiful tidal island Worm’s Head. Pembrokeshire is THE go-to holiday destination. This is mainly because of the beautiful scenery – there’s loads of gorgeous beaches, picturesque coastal villages and scenic walks. There are also some really fun attractions to visit including Manor Wildlife Park, Folly Farm Adventure Park & Zoo, Oakwood Theme Park and even castles! It’s great for sightseers, animal-lovers and adrenaline junkies alike! There are so many gorgeous places to stay. Pick between a seaside chalet, a quaint cottage or a one of the many fun campsites. 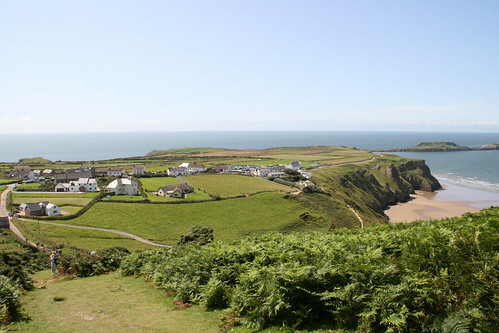 Tenby, Fishguard and Narbeth are all fantastic destinations with great road links, so you won’t be stuck winding down narrow lanes in search of paradise! Don’t have a car? Borrow someone else’s! It’s super easy to get temporary car insurance on someone else’s car with Veygo, and it won’t affect their no claims bonus! You can get covered from 1 hour to 30 days, so it’s completely flexible. You can even choose instant cover! If it’s your car, but you don’t fancy driving the whole way, you could try car sharing. That way, you can be radio master or have a nap in the back while your mate takes over!